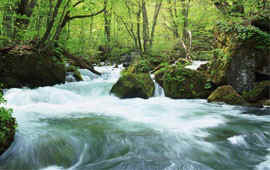 Cedar Park Rainforest Resort is situated in one of the world's greatest ecologically diverse areas. 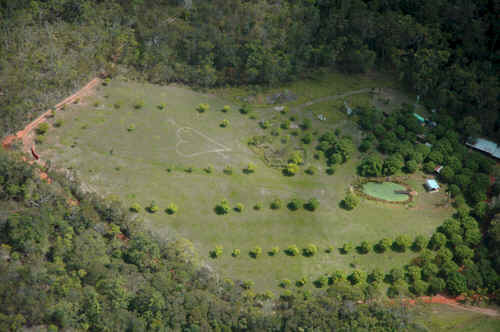 One of the best locations within a short distance of Cairns. 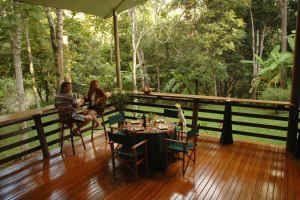 This ECO rainforest nature and wildlife retreat is located half way between the famous rainforest village Kuranda and Mareeba. We are surrounded by Dinden and Baron Falls National Park and our Backdrop is the Wet Tropics World Heritage. We offer a beautiful natural setting, comfortable lodging accommodations, gracious hospitality and truly fine food to make you rested and revitalized amid the peaceful setting of our rainforest oasis. 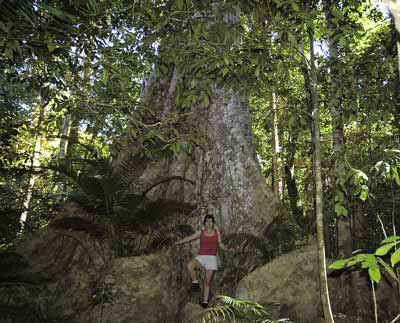 We are surrounded by ancient forest and its endlessly fascinating and amazing rainforest and wildlife. You can see vast amounts of wildlife and several species of rare endemic birds, animals and botanical treasures. 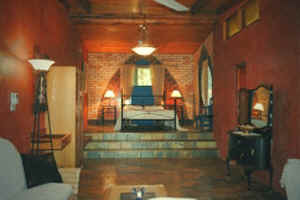 If you want to experience the splendorous of nature at its best while relaxing comfortably in a very unique environment you will love to be with us here. Enjoy exiting birding and tropical rainforest bush walks, a swim in the cool, refreshing mountain streams and pools. Relax in the rainforest spa or have a drink at the lagoon. Experience interesting accommodation that is not found anywhere else and enjoy wonderful cooking in our al fresco restaurant overlooking the rainforest.